Time for Some Spooky Solving Selfies! We love interacting with members of the PuzzleNation community, so we’ve cooked up something new that we think you’ll enjoy! Welcome to our first round of Solving Selfies! The game is simple! We’ll give you a theme, and you reply with a photo! We’ll randomly pick a winner each month for a terrific Daily POP Crosswords prize! Show us your Halloween spirit! Do you deck out your house for the holiday? Or have a killer costume picked out? Do your kids or pets get involved in Halloween shenanigans? 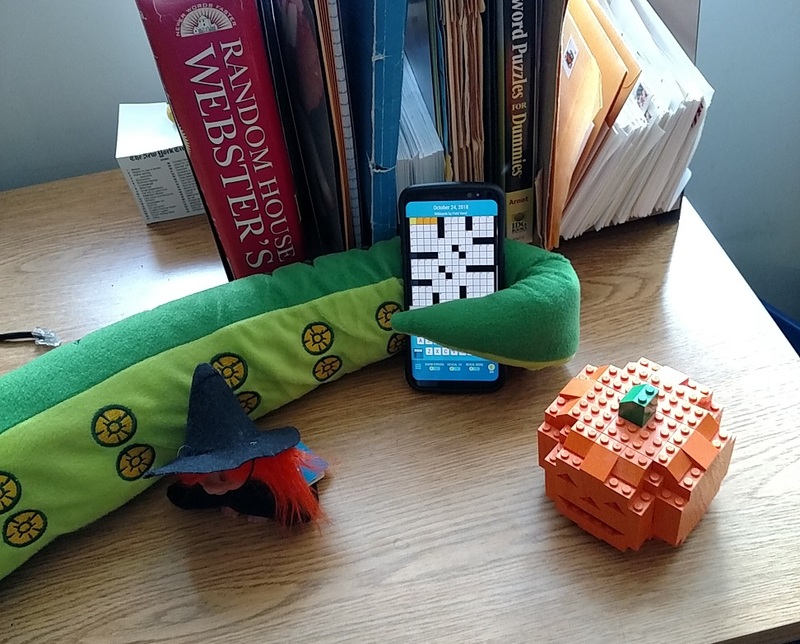 Or maybe your favorite place to solve is particularly spooktacular? We’d love to see it! 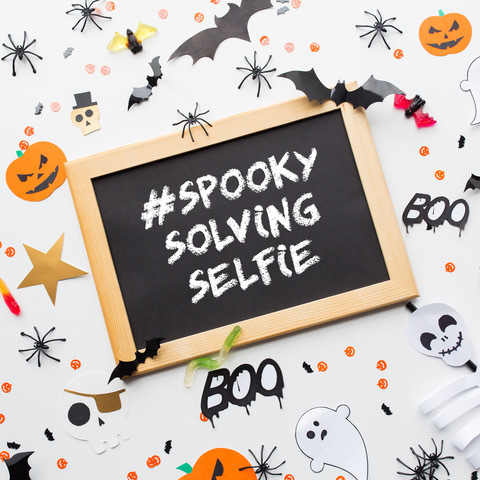 Send us your Spooky Solving Selfie today! And be sure to use the hashtag #SolvingSelfies or #SpookySolvingSelfies so we don’t miss it! This entry was posted in Games, PuzzleNation, Puzzles and tagged About Us, Announcements, crossword, crosswords, DIY puzzling, games, Geeking Out, Halloween, Holidays, jack the ripper, london, london after midnight, Pop culture, PuzzleNation, Puzzlin' fool, selfie, selfy, solving selfies, Spooky, spooky solving selfies, Wordplay by gmdirect. Bookmark the permalink.